UPDATE: The 2017 Tax Cuts and Jobs Act has eliminated the business tax deduction for employers who provide mass transit and parking benefits. Employers may still provide these benefits to employees, but they don't qualify as deductible business expenses for employers. More and more employers are providing some kind of commuting benefits for employees. From bicycle commuting to vanpooling to parking and transit passes, new possible benefits are appearing every day. And the IRS is looking at the tax consequences of these benefits, both to employers and employees. Some of what the IRS is doing is intended to promote energy-efficient means of transportation, like bicycling to work or vanpools. Other benefits are included by employers as incentives to recruit employees, particularly those in urban areas. By using commuter benefits, commuters can save up to 40% on commuting costs, including transit, parking and biking costs. And, companies can save 7.65% on payroll taxes. Let's start with the basics: The cost of commuting back and forth between your home and work is not deductible, whether you are an employee or the owner of a business. To allow employers not to include these reimbursements as taxable benefits to employees. This is usually an exclusion from income tax withholding and FICA taxes. $255 per month for combined commuter highway vehicle transportation and transit passes. $255 per month for qualified parking. Note that up to a combined total of $510 a month can be pre-tax benefits to employees for qualified parking and transportation/transit passes. Up to $255 a month can be excluded from employee taxes for qualified parking facilities. The parking benefit includes "parking on or near the location from which your employees commute to work using mass transit, commuter highway vehicles, or carpools. It doesn't include parking at or near your employee's home." Transit passes and fares for commuter vans are qualified up to $255 a month. A transit pass is any pass, token, fare card, voucher, or similar item entitling a person to ride, free of charge or at a reduced rate, on a transit system or a commuter van for hire that seats 6 adults (not including the driver. Benefits from Employers. Your business can give employees a benefit up to $255 a month for qualified parking, and $255 a month for qualified transportation. These benefits are tax deductible to you as the employer. Pre-tax Income for Employees. Even if you don't provide these transportation benefits, you can allow employees to use up to the limits each month as pre-tax income. In addition, you as the employer may also reduce your withholding for FICA taxes by this amount. That's the 7.65% cost reduction mentioned above. 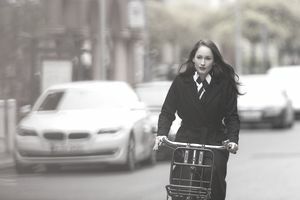 A 2009 change in the tax laws allows employers to reimburse employees for specific bike-related expenses. In addition, the law doesn't require the employer to include these reimbursements as taxable expenses to the employees. You are considered a bike commuter and eligible for reimbursement of qualified expenses in a given month if you regularly use your bike for a substantial portion of travel between home and work. The IRS law allows employers to reimburse bike commuting employees up to $20 per month for each month that the employee is a bike commuter. The benefit applies to all "reasonable" costs of commuting by bicycle, including the cost of the bike itself. This benefit can't be provided for any month in which the employee receives another transportation benefit, like transit passes or parking benefits. How your company chooses to qualify and reimburse employees for this benefit is up to you. And you can certainly reimburse more than the $240 a year limit, it's just that the additional benefit will be taxable to the employee. These benefits don't apply to S corporation employees who are 2% shareholders. For more information on these commuting and transportation benefits, see IRS Publication 15-B - Fringe Benefits. Disclaimer: Of course, these benefits are complicated and this article is not intended to be tax advice. The IRS has exclusions and restrictions and qualifications. If you are considering offering these benefits to employees, be sure you check with a tax professional or your benefits advisor first.